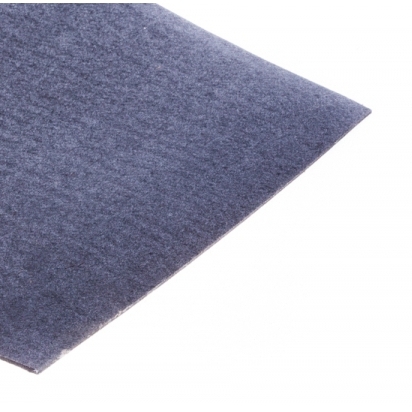 Cutting mat 2.5mm (air-permeable) width=1530mm | DamenCNC B.V.
A similar mat to the EC4, but then thinner. The EC4 is 4mm thick and dual layer. This mat is 2.5mm single layer. The EC4 is the best solution, but has a higher cost. With this single layer mat, we offer a cheaper solution to the same problem. Do keep in mind the EC4 has double the thickness, so its not a fair comparison. When using a tangential knife on your CNC router, a cutting mat is recommended. It can be placed on the vacuum bed of your CNC machine. It is permeable for air, so the material placed on top can still be sucked vacuum to the table. It is very durable, and can be used on both sides. We cut the material from a 1.5m wide role, for that reason the price is per 1.5 square meters.